Australian born death metal outfit In the Burial have been lurking around for half a decade. The band released their demo later in the year of their formation, 2007, and then abruptly disappeared from any recordings until just recently. 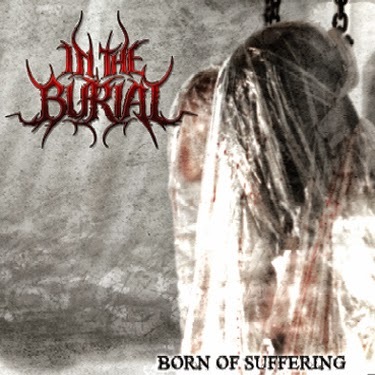 According to the group themselves, In the Burial began as an Evanescence style symphonic/melodic metal band but progressed into the death metal style that is heard on their debut full-length album, Born of Suffering. 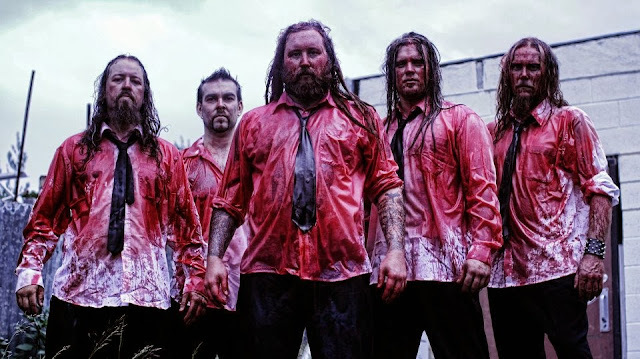 Recently picked up by Canadian label PRC Music, what are audiences to expect from the land down under? The material starts off promising during the title track, with the lullaby sound of a baby's mobile that quickly twists under an ominous distortion. 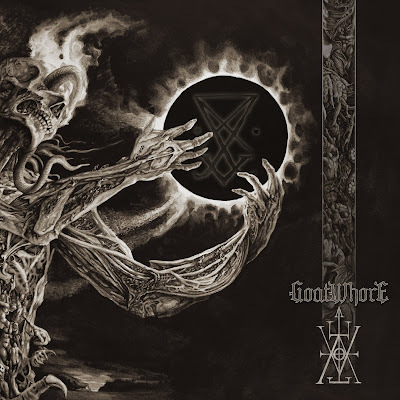 All hell breaks loose as the the song explodes into a chaotic frenzy of tremolo picking, both black and death metal vocals, and a derailment of inhumanly paced drum beats. These tangents of instrumental gluttony keep their stride throughout the entirety of the contents in this LP and rarely find themselves deviating from the main well ridden trail. The two substantial problems with Born of Suffering are the shamelessly triggered drums and the lack of any sort of organized structure. The drums are a perpetual continuation of mechanized stiff and padded beats that are drained of any sort of human passion; they're triggered to the point that one might start believing that it's actually a drum machine behind the curtain instead of a real person. Aside from the robotized sound and feel, the drum patterns are recycled to the point of annoyance; blast, blast, blast, double bass kick triggers, blast, blast, rigid roll, more triggers. There is one point where the drums do show a glimmer of inspirational hope, during a drum solo on the track "Amarathine's Departure", but that about sums it up. In reference to the latter issue mentioned, the rhythm guitar rarely supports any, well, rhythm. There is a surplus of generic tremolo picked segments that bombard nearly every last second of the content with hardly any aberration. It would be misleading to call them riffs, as they generally follow little to no structure. 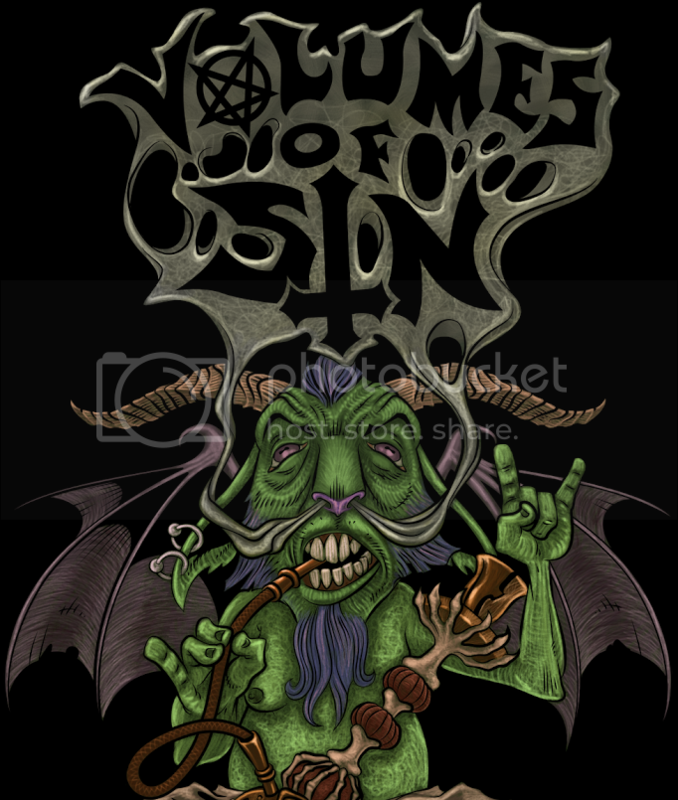 On the plus side, the vocals are entertaining and explore a variety of black and death metal styles and octaves, although they're often layered when they come to an intersection where each style meets. At least it would be an assumed layering, as there is only one vocalist credited; minus the three guest vocalists that appear in varying tracks. The instruments also provide technical seasoning that is sparingly scattered from beginning to end, and the lead guitar tops it off with short but mildly abstruse solos. There are also intriguing cinematic style keyboard sections that accompany either audio snippets or spoken words by the vocalist. The true main problem with Born of Suffering is it is an album of extreme excess. Excessive drum triggering, excessive tremolo picking, excessive use of the same drum patterns and guitar compositions. The album in its absoluteness would fair a lot better by implementing more structure and overall imagination. The drums specifically could use more passion, and the triggering needs to either go or be dropped a few notches. Regrettably not recommended, catch In the Burial next time around.